The doors of your home are the entryway to one of your most valuable assets. 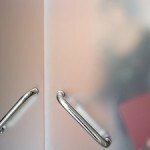 With Charlotte County Glass, your doors don’t have to be plain and boring. Charlotte County Glass has been providing the communities in North Port with beautiful glass doors for over 23 years. We carry all types of doors and provide sales and installation.